While the impact of the digital era and its many temptations on teens and children has been a major concern on many levels throughout the world, and with good reason, the effect of parents distracted by digital devices on the teens and children has yet to become a cause for as much concern. What is the actual problem? Haven’t parents been distracted for ages now – just imagine a 1950s dad behind a newspaper or a 1970s mom on the phone or watching a soap opera, not to be disturbed. Granted, children and teens are easily drawn into the virtual world, and adults worry that they may get lost in this virtual space, abandoning the familiar reality. But make no mistake about it – adults are also very vulnerable to the influence of social media and other online attractions, and there are no limits set by an authority figure, like we set for our children. While there are, of course, undoubtable benefits to online presence for both adults and children, the interpersonal relationships suffer most when a digital overdose is the case. In case of parenting, the effect is most devastating when there is an infant involved, one who doesn’t yet have his or her own device to escape into, who is expecting interpersonal feedback from their significant adults. It’s been conclusively proven that the absence of or insufficient psychological connections in infancy have a negative effect on cognitive and emotional development. It really is something that can hardly be replenished later on in life, it’s something that has to be provided when it’s required. Parents aren’t, of course, entirely unaware of the fact that they may often be overinvolved with their devices, but the feelings of guilt aren’t a very positive factor in the upbringing of children either. The situation hardly changes, and the quality of parent-child interactions, while difficult to measure in any way but subjectively, has gone down considerably in the two recent decades. Older children and teens also need undivided attention of their parents, not as much as the infants, but just as desperately. Of course, scientists have to be careful not to be alarmist, and not necessarily attribute a causative effect to something that may be merely a correlation or an associated risk. But there are some basic statistics, such as the fact that, depending on the specific study data, an average adult in the United States check their smartphone between 80 and 200 times a day. The effect that technology has on our lives has gained the name of technoference, and there’s more of it in our lives every day. The fact that they are disruptive has also been established, but what can be done about it if you do find it alarming? 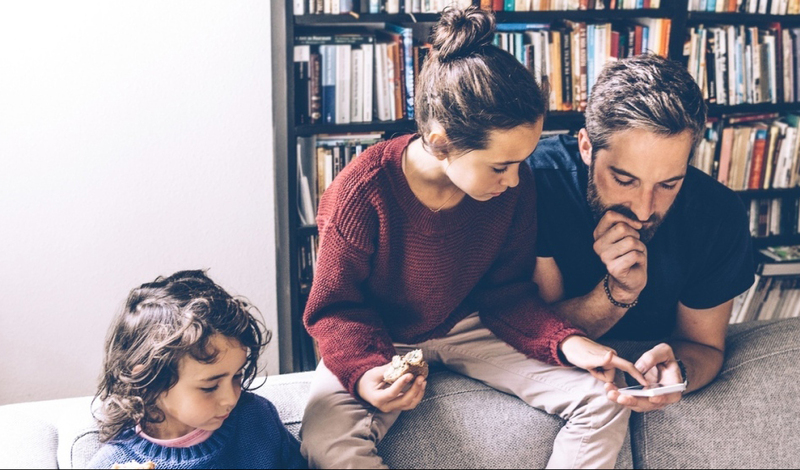 Family tech contracts are one solution to the problem if all of the family members agree that it technoference is a problem and are willing to make certain sacrifices in order to manage it. Such a contract would delineate how much screen time everyone in the family gets, and it’s best supplemented by some sort of an agreement by all family members to spend more quality time together in the good old-fashioned way, with no devices required to enjoy the experience. Board games, a stroll, dinner and a conversation are very basic things that everyone can enjoy – or learn to enjoy if it’s something that hasn’t been a part of a family’s routine prior. Devices or not, communication is still the most important part of interpersonal relationships, and it always will be – before singularity dawns, and we become a part of a huge beehive-like conscience, if that ever happens, as the futurologists are predicting. This entry was posted in Parents on May 18, 2018 (Last modified: 2018-05-18T13:05:32+00:00 by Mark A..